A chapter of flat earth believers gather for a meeting. Picture via Facebook. Flat earth theory used to be a byword for outmoded or irrational thinking, however it is now gaining ground in the Philippines. A Facebook group called ‘Philippine Flat Earth Society (Certified FE Group)’ has attracted nearly two thousand members representing ‘chapters’ of believers from across the nation. The majority of members appear to be (mainly male) millennials, but there is also a scattering of American expats. As well as sharing memes and YouTube links supporting their views, the ‘closed’ group also provides an opportunity to arrange what appear to be well-attended local meetings. It also serves as a forum to discuss other conspiracy theories, with faked moon landings and ‘chemtrails’ being among the most popular. 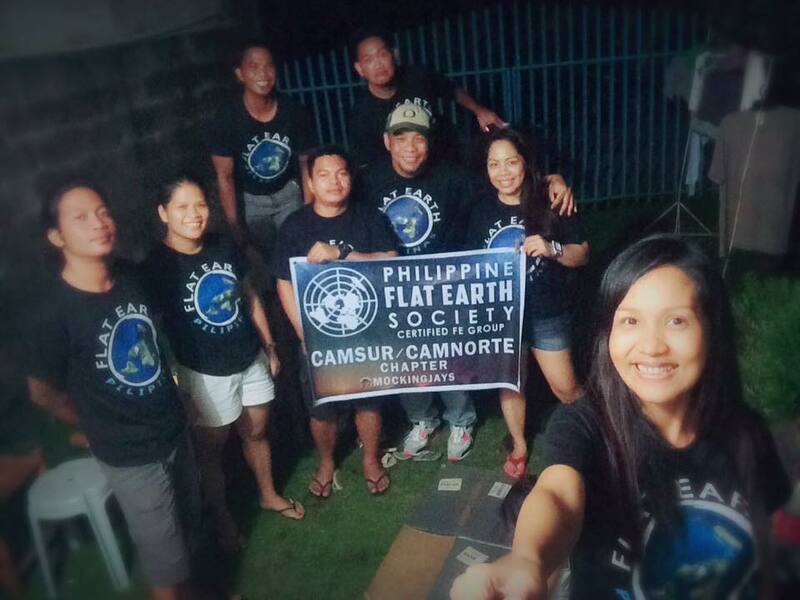 In its introduction, the group says it is “Certified by the United Council of the Philippine Flat Earth Community”, suggesting that there is a wider network of believers beyond the group. Members frequently dismiss critics of their beliefs, accusing them of peddling “pseudoscience” or being in the thrall of dark forces. Disparaging terms for non-believers include “globetard”, “globehead”, “curvert” and “illuminatipuppets”. The underlying basis for the belief appears to be mainly theological, with numerous Bible verses shared as confirmation of the theory. However, many members — including some who describe themselves as atheists — are keen to share what they consider to be irrefutable scientific proof of their ideas. Dear Curverts, If the Earth was a ball, Nile River has to flow uphill to compensate the curvature of the Earth. Is this enough of a proof for you that the Earth cannot be ball? I have talked one on one with university professors in astrophysics and they couldn’t explain the things I question them about. He also says that he preparing to prove the theory with a groundbreaking experiment involving firing laser beams across the ocean. It’s not only in the Philippines that flat earth theory is experiencing a resurgence in the internet era. A Facebook group called “Flat Earth – No Trolls”, for example, boasts more than 37,000 members from across the world. The theory has also attracted support from a growing number of celebrities. There’s no cure for stupidity. Even the Ancient Greeks and Egyptians had worked out that the Earth is curved. The article missed out the bits where they claim that the ice wall is patrolled by armed guards employed by NASA, that the planets don’t exist (despite having been seen by people for thousands of years). TBH, I’m not surprised that probably a lot of Filipinos would fall for this, after look at the people they’re daft enough to elect year after year. Obviously you don’t know history! The entirety of the Ancient Near East believed that the earth is a flat geostationary plane. The Egyptians did NOT believed ‘the earth was curved’, there are abundant references in ancient Egyptian literature which state that the earth is a flat rectangle with four pillars supporting the sky (roof)..
Eratosthenes was born in Egypt, and he using sticks thought he proved earth’s curvature but if you use your brain then it’s obvious as to why his experiment is primitive garbage! Please stop infecting this thread with your disgusting ball Earth propaganda! “He hath compassed the waters with bounds, until the day and night come to an end” (Job 26:10). This observation by Job contains a significant scientific insight, refuting the frequent charge by skeptics that the Bible says that the earth is flat, with four corners. The Bible teaches no such thing—quite the opposite, in fact. Columbus did not sail west to prove that the earth was round; he already knew that, and so did many others long before Columbus. As far as the Bible is concerned, the word “compassed” in our text is the Hebrew khug, meaning “circle,” or even “sphere.” It is so translated in Isaiah 40:22; “It is [God] that sitteth upon the circle of the earth.” Viewed from any point in space, the earth would appear simply as a great circle, with its spherical shape projected on a plane. The word is translated “circuit” in Job 22:14, where Eliphaz said that “[God] walketh in the circuit of heaven.” … It is obvious that such a “circuit” at least suggests a spherical earth. 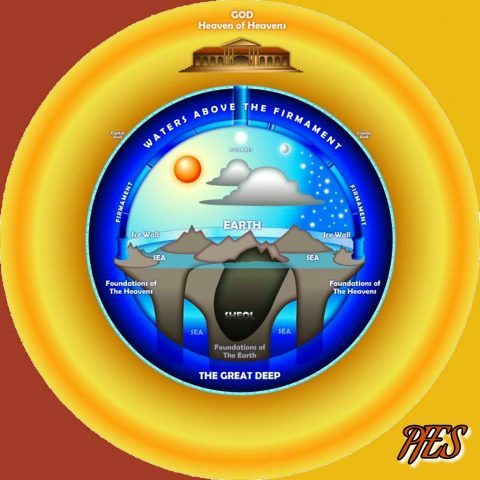 In Proverbs 8:27 … “When [God] prepared the heavens, I was there: when He set a compass upon the face of the [deep].” Both here and in our text, the “compass” refers to sea level, projecting as a circular horizon, at the same elevation all around the globe. The great circle through the earth’s center marks the boundary between day and night, where “day” and “night” each gives way to the other, again implying a spherical, rotating earth. All of this speaks eloquently of the creating and conserving power of our gracious God and Savior. It also gives witness of the in-errancy and scientific integrity of the Holy Scriptures. Remember, this was written well before 1000BC, when ‘science’ taught that the world was resting on the back of a giant turtle, or on Atlas’ shoulders. i go to the Washington DC on a regular basis. my flight plan would always depend on airfare prices. most of the time Manila>LA>DC or Manila>Japan>(Boston or Minnesotta)>DC ang itinerary ko. minsan naman mas mura ang Manila>Doha>DC. dun pa lang malalaman mo nang spherical ang mundo, dahil pag westward ang flight ko ay nakakarating ako sa Washington DC, pero kahit eastward (opposite direction) ay nakakarating pa rin ako rito sa parehong lugar. Diyos ko!!! nakakapag 3D-print na tayo ng propeller ng malalaking barko, at matagal na tayong gumagamit ng stream ng electrons para makakita ng maliliit na organisms. yung simpleng “bilog ang mundo” na fact ay nahihiwagaan pa rin kayo??? simpleng math and physics lang eh ginugulo nyo pa, samantalang ang layo na ng advancements natin sa ibat-ibang technology na dulot nito? dapat hindi kayo nakikinabang sa technology na pinagpaguran ng mga scientists natin. Dapat ay dun kayo tumira sa kweba, at LALONG DAPAT AY HINDI KAYO GUMAGAMIT NG INTERNET.